The Hubsan X4 FPV features a 1080P HD camera and FPV transmitter with a 5.8GHz wireless video transmission. The latest 6-axis flight control system keeps this unit stable in flight. 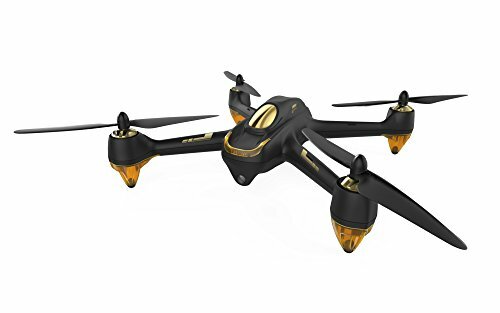 The built in GPS and altimeter allow for a wide range of flying features including follow me, return to home, and hold position. The large 2300mAh LiPo included keeps you in the air for an impressive 19 minutes. With all these features this is the perfect quad rotor to get you into FPV flight.